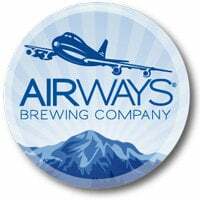 Airways Brewing Co. distribution is taking off with the availability of its handcrafted brews online and available for shipping through AirwaysBrewing.com. Available to 37 states, craft beer enthusiasts can now order bottles of Airways’ popular line of 22-ounce bottles online – including Sky Hag IPA, Chocolate Stout and Third Anniversary Belgian Dark Strong – and have them shipped right to their front door. Available to 37 states, craft beer enthusiasts can now order bottles of Airways Brewing Co.’s popular line of 22-ounce bottles online.